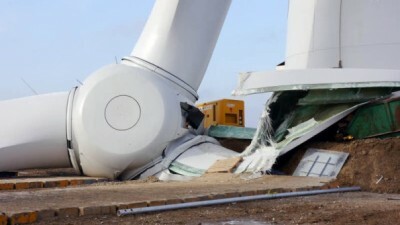 When people turn on wind power, it’s a one-way proposition: they never, ever worship these things again. And when the convert was among those who first championed the greatest economic and environmental fraud of all time, they don’t just quietly fall out of love, they tend to become the loudest critics of all; a bit like reformed smokers berating their old smoking buddies for lighting up. One character who fits that mould is co-founder of the German Greens, Otto Georg Schily; who has just joined the growing throngs of Germans who now recognise the country’s maniacal obsession with massively subsidised wind and solar power as “an economic, social and ecological disaster”. Germany’s Energiewende “An Economic, Social and Ecological Disaster”, Writes Top German Socialist! In a referendum slated for this coming Sunday, Swiss citizens are being called to vote on a national energy strategy, dubbed Energiestrategie 2050. 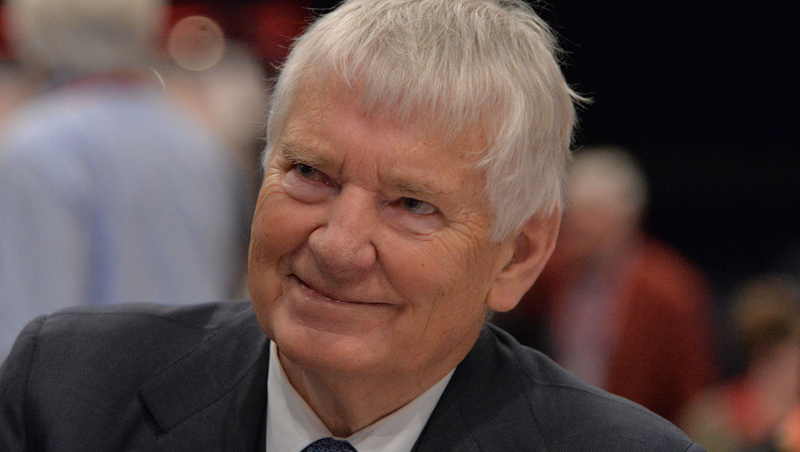 Germany Green Party co-founder and former federal Homeland Minister Otto Georg Schily warns Swiss citizens voting on energy referendum that the Energiewende is “an economic, social and ecological disaster”. Now it is reported that just days ago German Green Party co-founder (later turned socialist) and former German Homeland Minister Otto Schily has come out to warn Swiss citizens against voting yes on the project, reminding them that Germany’s Energiewende (transition to green energies) is not the success it is often claimed to be, and that it has in fact turned into a 25 billion euro a year disaster. This is reported the online Swiss daily, Basler Zeitung here. Schily held the top position in Germany’s Homeland Ministry in the country’s Socialist/Green coalition government led by Gerhard Schröder from 1998 to 2005. He is regarded as one of the country’s most respected elderly politicians and statesmen. According to the Basler Zeitung, Schily wrote a letter to Christoph Blocher, where he judged the Energiewende to be an “economic, ecological and social disaster” and so urged Swiss citizens to vote no. The rightwing Swiss SVP party, led by Blocher, is leading the campaign against the green energy transformation project put forth by Swiss President Doris Leuthard of the centrist Christian CVP party. Both Schily and Blocher were Homeland ministers at the same time in their respective countries in the 2000s and are reported to maintain light contact. The online Swiss site BLICK characterized Schily’s letter as “explosive”. Schily wrote that Germany’s green energies are also “extremely socially unjust” because they force low income consumers to pay more money into the pockets of wealthy wind and solar park operators – in a classic redistribution from the bottom up. Moreover, the Basler Zeitung writes that the Energiewende has scarred Germany’s natural landscape, has probably cost more jobs than it created, and has “contributed nothing to climate policy as it hoped to do“. Schily advised Swiss citizens “not to repeat the far reaching energy policy of the German Energiewende“. The Basler Zeitung adds: “a collapse of the power supply threatens when the remaining German nuclear power plants are taken offline over the coming years”. It’s a flop in Germany, too: the head Green just said so. Sorry to upset everyone, however, I heard on the ABC morning news (who would have thought) a few weeks ago the Swiss voted 58/42 in favour of renewables. You would think that hydro would make up the vast majority considering their climate. At a guess the vote was probably split on rural urban lines. Not surprising when we are in town and the subject is approached our learned friends just glaze over and become obsessed with anti fossil fuel and god forbid nuclear sentiments. It is very very frustrating. I would like to see this on a main stream media Channel. An entire gorgeous river valley neighbourhood with 8 families, lots of children and grandchildren and animals of all sorts, is now surrounded by some of the largest turbines in Ontario, because a relatively new, German landowner signed up eagerly for as many turbines as he possibly could to put on his land. Some of the residents had been there for almost 4 decades, happily living their idyllic lives and planning to stay there forever. Three households are owned by one family who have 3 lovingly connected generations…fulfilling a life dream. They all live there because of their deep connection to the valley. Their lives have all been impacted negatively. Extended family and visitors to the valley are shocked to see the visual impact. Running through and adjoining properties in this neighbourhood are hundreds of acres of Heritage Bush which used to provide habitat and overnight rests for migrating birds near the shore of Lake Huron. It was also a raptor sanctuary. I wonder what the German leaseholder would think if he read this article. If only we could get a message of the Australian experience into the Swiss media to help them make up their minds with as much knowledge as possible. They need to know of the dangers of this industry and its affects on tourism, the environment, the economy, energy security and peoples health and livelihoods. Too much invasion of Governments around the world by this industry is doing enormous harm to the world we are meant to be protecting for future generations. For a Government to even think of supporting it when there is so much information of its dangers available is mind boggling and brings me to the conclusion that ‘graft’ is more powerful than anything else in this world as it turns sensible people into garden gnomes with stupid grins and nothing in their heads but air. Jackie: i would love to post your comment on my fb page! How?